So far you have 12 ways to be happier. You have completed 2 weeks of your journey to a happier you. How are you feeling? Here’s a reminder of what you’ve been up to over the past week in your mission to be a happier you. This is a free 30 day programme and if you do all the exercises you will different. And just in case you are just joining us, here are all week one’s posts so you won’t miss a thing! 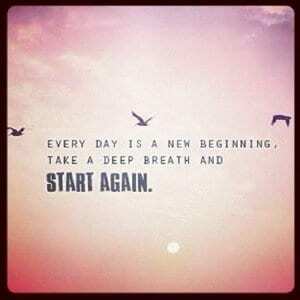 It is never too late to start again. Each day is a brand new beginning. If you haven’t done all the exercises, or you have just found this blog series, no problem! It is never too late to start. Each day is a brand new beginning. If you are finding this difficult to do on your own, no problem, because I can help you. I work with adults and children age 5+ in person in West Sussex or on Skype round the world! My clients have significiant insights and shifts. You might want help with anxiety, depression, stress, confidence and sleep. Most clients say they wish they had come sooner. Yes Mike. People can feel like they’ve ‘blown it’. 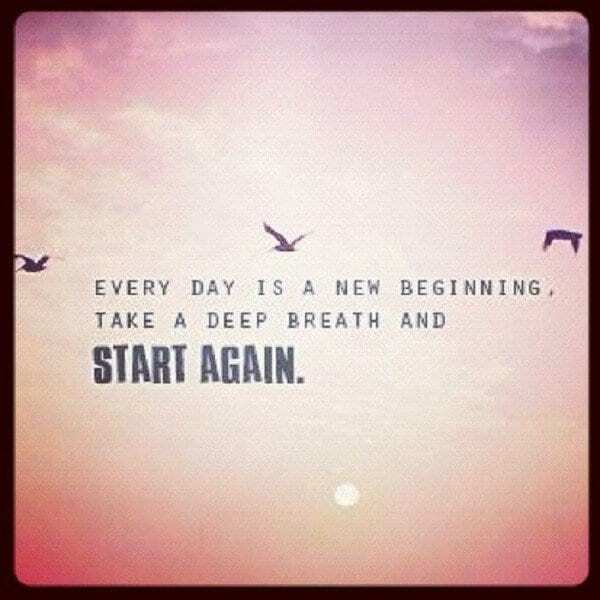 You really can start again from anything. Hope your tooth is ok now!